This addition to the Katy Perry experience expands not only the professional delivery to the show but also recreates an original Katy Perry show feel. The band members included are young and professional musicians who each have their own qualities and traits to achieve successful careers as performers together and individually. The band is run by MD Dave Butterworth. They have been working together closely as a band, but also working with each other within many of their own individual projects for a number of years! Altogether, the band have the experience to demonstrate fantastic musicianship and professionalism when performing and during any interactions with an audience. Each member of the Katy Perry Tribute Band carry themselves with style and stage presence, really making the Ultimate Experience come to life! Dave has music in his blood, having been raised in a musically oriented family, he developed a passion for the arts from a very young age. The result of this has led to him studying this himself, and eventually pursuing a successful, full time professional career in the entertainment industry. Dave holds a Bachelor of Arts degree in Popular Music from The University of Huddersfield. 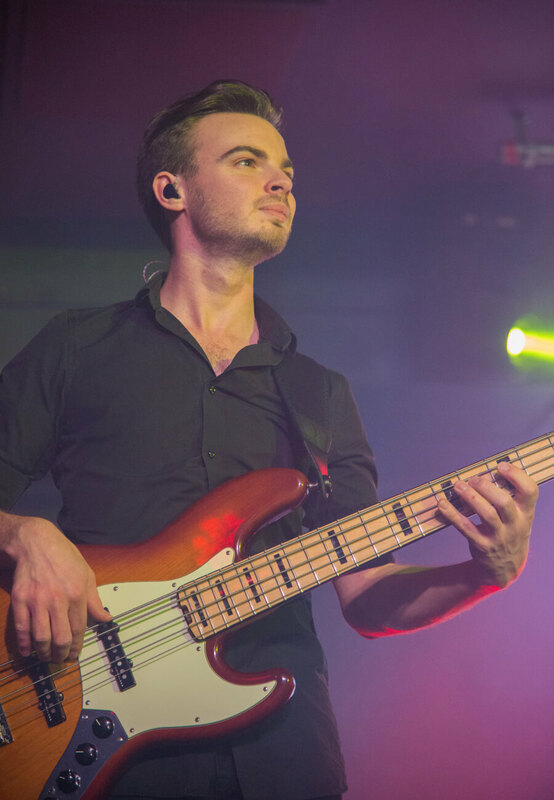 During his time there, he studied under the watchful eye of some of the very best in the industry, with his bass tutors also being very highly regarded as session musicians in their own right. Although he graduated in 2014, he started forming his career whilst studying, and playing with various artists during his free time, to increase his network and lay foundations to seamlessly make the transition from student to full time musician. Since graduating, he has worked as a full-time professional musician, with his portfolio ever expanding. He has worked around the world, performing and recording with numerous artistes from standing in on one-off gigs, to more regular positions. 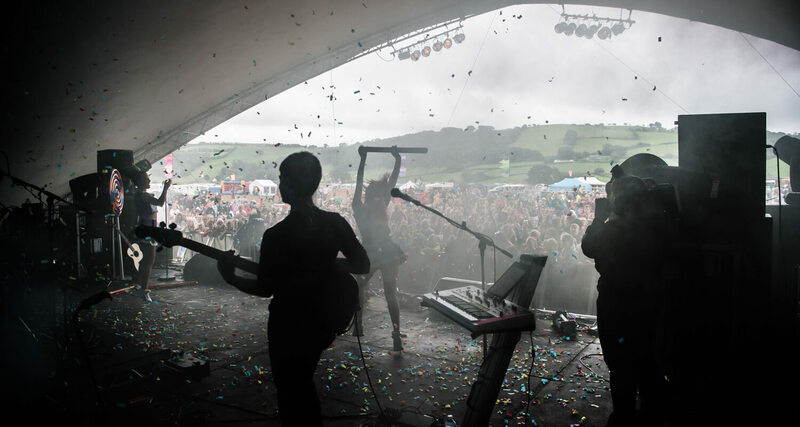 He has also appeared on stage at various music festivals, including YNot Festival, Blue Dot Festival and Kendal Calling. When he isn’t on stage with Katy, Dave is in demand with other bands too. He can be found playing with numerous function bands, including twice winner, and subsequently this year’s judge of The Wedding Industry Awards’ band of the year, ‘The Funtime Frankies’. He sometimes plays with originals artists, and he was also in the bass seat for renowned George Michael tribute, Wayne Dilks’ “Faith – The George Michael Legacy”, and now the rebranded show “Freedom ‘19”. With authentic costuming and top Choreography by Jennifer Cassidy. These Dancers will give your event the ULTIMATE WOW factor! All dancers have been trained at the UK’s most prestigious performing arts schools. They all work professionally and really give the show that glitz and glamour feel. The show is available with 2-8 dancers, really adding to the production, with multiple costume changes. The costuming is first class and every outfit is treasured with the finest details. I really can’t stress enough how these girls take the show to the next level! Frankie has been dancing professionally for the last 8 years, her performances have been based within the UK and abroad, on TV, arena/ festival performances, corporate events and theatres. When Frankie is not performing she’s teaches dance and fitness classes to all ages and abilities. 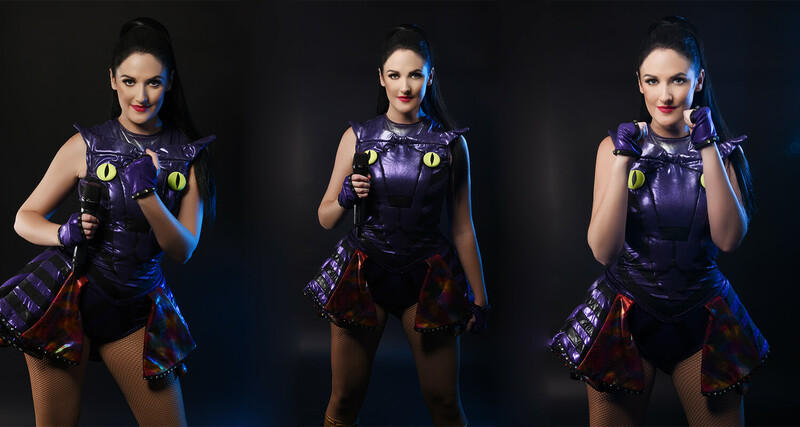 Frankie has been working in the Katy Perry show for two years and has been an absolute asset to the show. As a free lance choreographer Jennifer has extensive experience choreographing for show productions on board ships, corporate gigs and theatre shows. Some most recent credits include, ‘Rock n laughter’ Britannia pier ‘Broadway rhythms’ Carlisle racecourse and numerous productions onboard Fred Olsen cruise lines and Tallink ships. Jen is also proud of a successful dance career with credits including, 5 years at sea as dance captain and company manger on various 5 star cruise liners, including the very classic ‘saga cruises’ along with various hotels, theatres and venues across the UK .She loves to put her creative skills to good use and has done an exceptional job with the choreography for Katy Ellis’s Taylor Swift and Katy Perry Tribute.